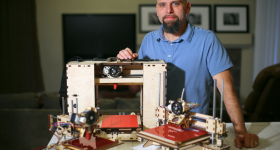 Our series on the 10th anniversary of the RepRap project continues with insights from Richard Horne. 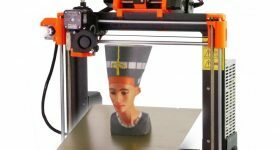 The RichRap blog is bursting with projects and is a fantastic source of inspiration and advice for anyone with a remote interest in technology and 3D printing. Richard has designed 3D printers, produced how-to guides and most recently championed the Masterspool initiative to reduce plastic waste. 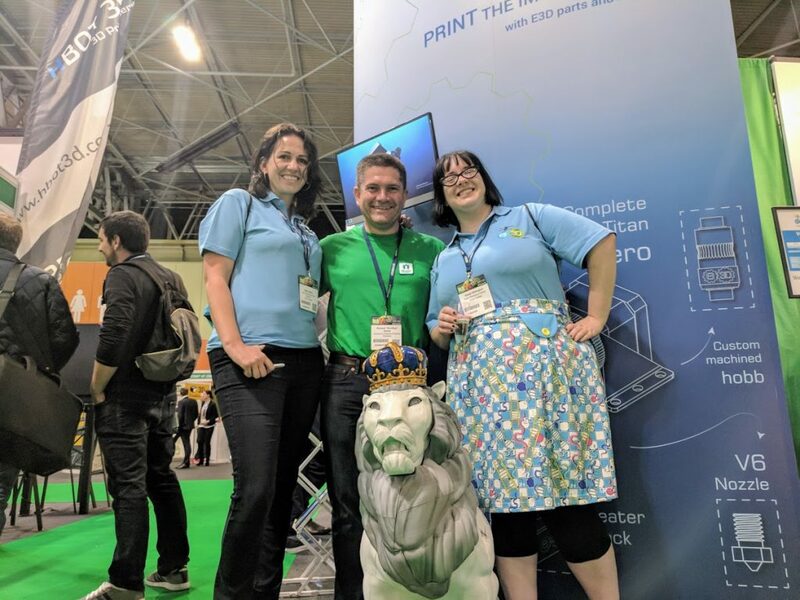 In this interview Richard talks about his ongoing adventure with 3D printing, the need for a process-tool chain and a 3D printer made from bamboo and fishing line! 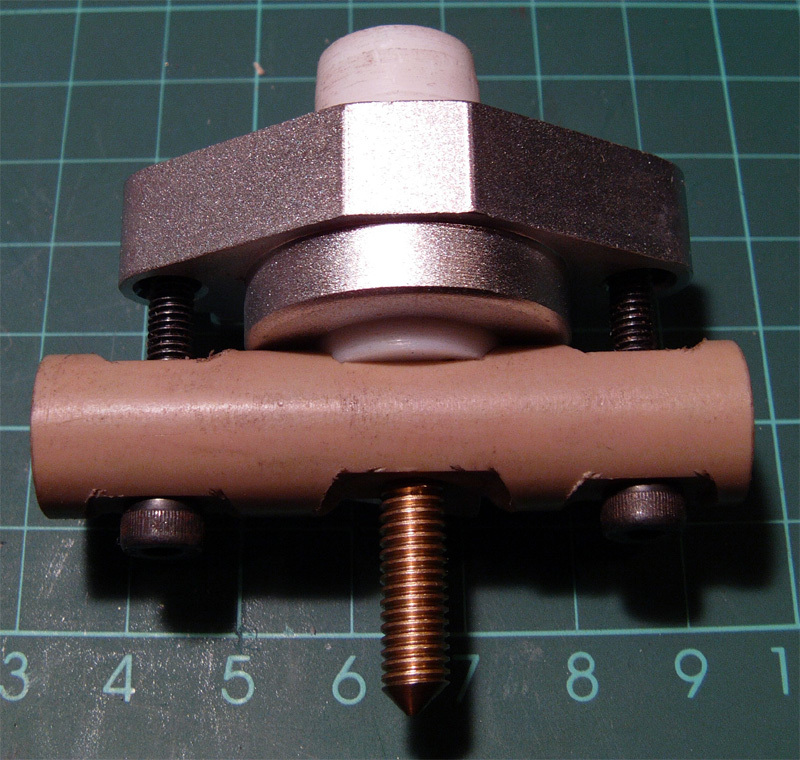 An early DIY hot-end made by RichRap. Photo via RichRap. Richard Horne: I see it as one of the most important, significant and first Open-Source hardware projects ever to go ‘viral’ to a truly global audience. 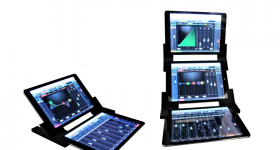 Today it’s roots spread far and wide in both industrial and desktop applications. 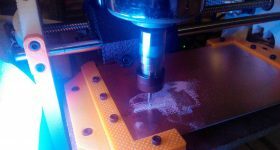 There were other similar projects going on when RepRap started, some commercial, others from universities or communities like [email protected] and many other home made CNC machine kits, but the difference with RepRap seemed to be it’s completely open outlook on the technology, science and application. Free for whatever use you like, and not setting any boundaries on what was expected. Richard Horne: The RepRap project is still a wonderful source of innovation, information and community. Whilst it may seem less visible than in previous years, many new projects are still built and enhanced on a regular basis. For me it’s an ongoing adventure, sure to grow and last many more years to come. Richard Horne: Open Source software has fully matured, it’s now everywhere and a part of most peoples lives, even if they are not aware of it. Almost every single successful, global software standard or encryption protocol is either ‘open’ or actually Open Source. Open Source hardware still has a long way to go to reach the same level as Open Source software has achieved. Companies like Adafruit have long proven a valid business model using Open Source Hardware. 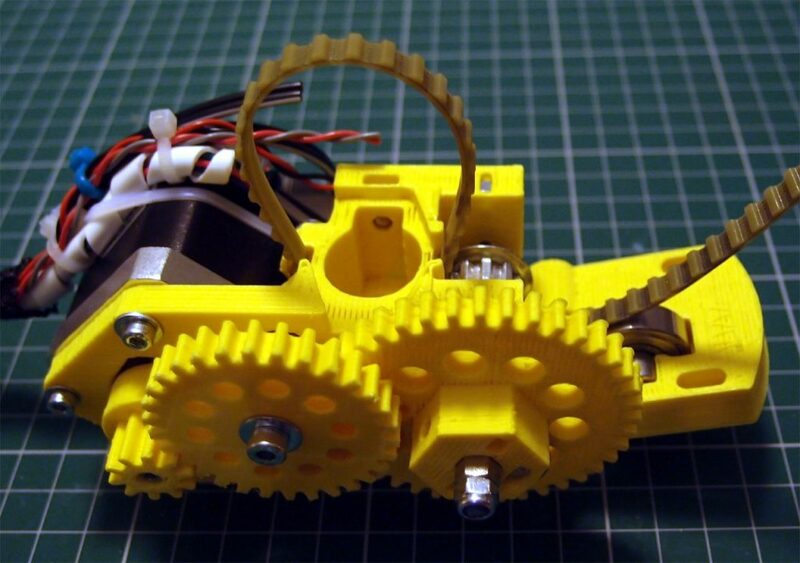 3D Printing companies such as Prusa Research, LulzBot, E3D and BCN3D Technologies all currently share the same view that Open Source Hardware is a valid business model. When users actively improve products, services and support for Open Source manufacturers it makes the entire model more viable for everyone. 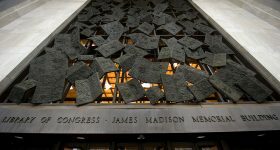 Open collaboration and innovation will drive both success and standards. For closed source companies, that actually starts to be really hard to compete, it’ll be interesting to see where this all takes us. I like to think very wide when it comes to Open Source, for some it’s about all or nothing. I’m happy to see any sort of open innovation, open standard or joint collaboration, both in business and as a social activity, even with traditionally closed source companies. When it comes to respecting license terms for anything Open Source, it’s very black and white. That should be the minimum requirement for anyone using, modifying or collaborating on any Open Source project. Respect the creators license terms, follow them and if possible use the same terms for remixed or derivative work. Richard Horne: Widespread adoption. And that’s not mass adoption, but more importantly, we have seen so many different types of ‘3D Printing’ become accessible to anyone who needs it or wishes to experiment with the technology for whatever reason they want. 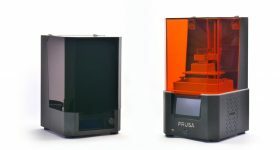 Ten years ago, even a basic 3D Printer would cost upwards of $15,000. Right now, you can build one yourself, with a better quality output for under $150. It’s not the low cost, but the fact that almost anyone, anywhere on earth can now download plans, software and materials to build a usable 3D printer. For me, that was and still is the most satisfying aspect and intended side effect of the RepRap Project. 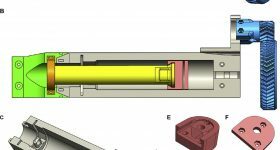 A mechanical paste extruder for 3D printing with chocolate or ceramics. Photo via RichRap. Richard Horne: We don’t need to worry about the application of AM technology, that’s just going to become more prevalent year on year. 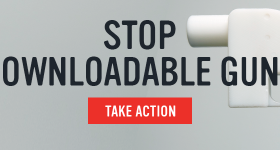 What we need is a better tool-chain, and well defined Open standards for every aspect of the 3D Printing market. We are now well over the hype, past the fleeting interest and moving on to real-world application, productivity and further exciting innovation. This year we are starting to see important new industry standards for 3D Printing. 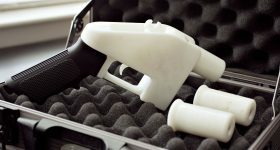 These are being generated by manufacturers, suppliers and companies in the desktop 3D printing market, often with an open attitude towards making things much easier for all types of users. The entire ‘process tool-chain’ and eco-system is currently being re-invented. 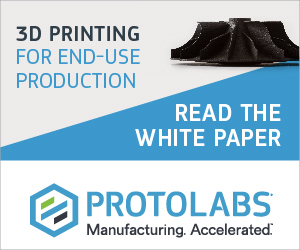 This will continue and form the solid foundations for real productivity and mass customisation of both manufacturing and on-demand applications of additive manufacturing technology (without the hype next time around). Richard Horne: Firstly to thank everyone involved in RepRap. For more than 25 years of my professional electronics engineering, product development and innovation, RepRap is still the most interesting and widespread project I have ever been part of. Secondly, to answer a common question / miss-conception I (and others) get asked every now and again, why don’t ‘we’ build more ‘professional’ 3D Printing systems? 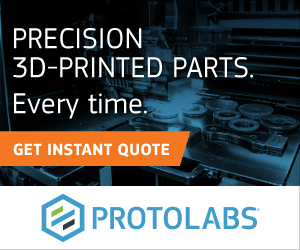 (I do) but my answer when it’s directed at a RepRap project, is that it’s easy to design and build something using professionally machined, custom parts with a big project budget. 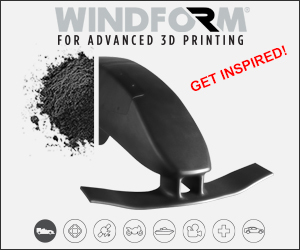 It’s much harder, rewarding and empowering to design and build anything that uses generic components, re-purposed hardware and whatever else you have lying around. Show me someone that’s made their own 3D Printer from a scrap metal, fishing line, bamboo and motors out of an old laser printer, and I’m delighted. I have lost count of the people who contact me, to say something about the RepRap project has changed their life in positive ways. RepRap fosters very accessible technology, it should not be looked down upon because it searches for community based, innovative, low-cost, even eccentric and crazy solutions at times. It’s one of many global Open Source hardware endeavours that excites, enthrals and inspires people. It has no boundaries. Many years from now, when synthetic AI robotic machines that ‘replicate’ are seen as commonplace, I would like to think they may have a little of the RepRap philosophy still inside of them. Clare Difazio. Head of Marketing & New Business, E3D and Richard ‘RichRap’ Horne. Photo by Michael Petch. 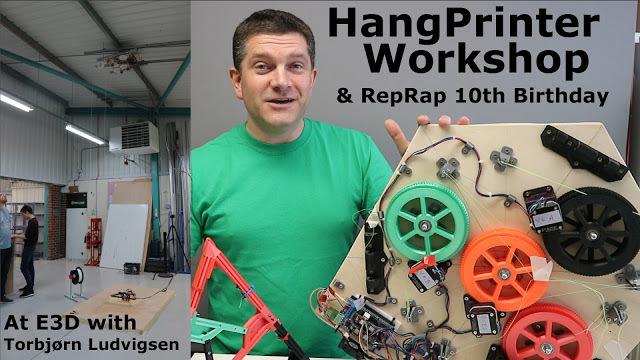 Check out the RichRap YouTube channel to see more projects, including a recent visit to E3D to take part in the RepRap HangPrinter Workshop with Torbjørn Ludvigsen. 3D Printing Industry has more insights from the RepRap pioneers coming up in our series to mark the 10th anniversary of the RepRap project. 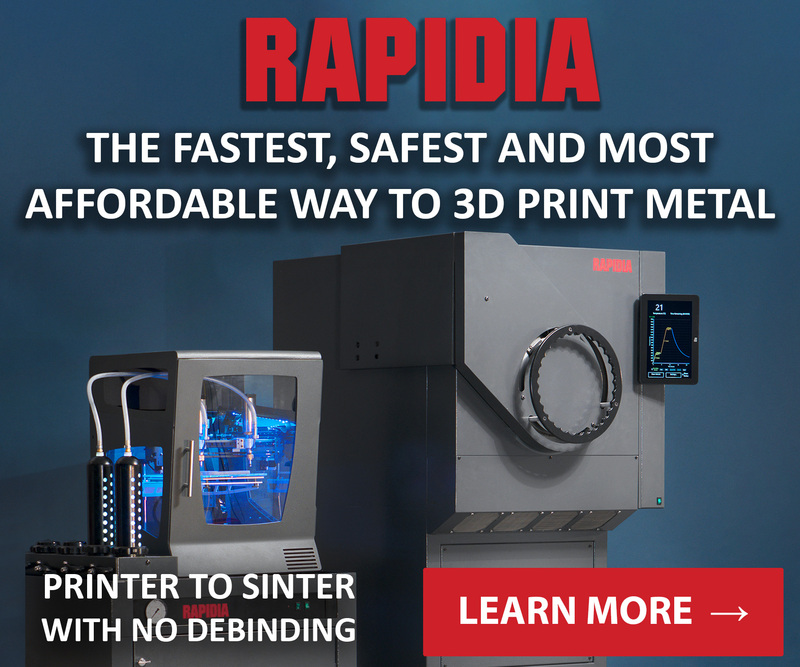 Make sure you don’t miss anything, subscribe to the 3D Printing Industry newsletter and follow us on social media. Featured image shows Richard ‘RichRap’ Horne discussing the Masterspool initiative. Image via RichRap.